False Kiva, Canyonlands National Park. 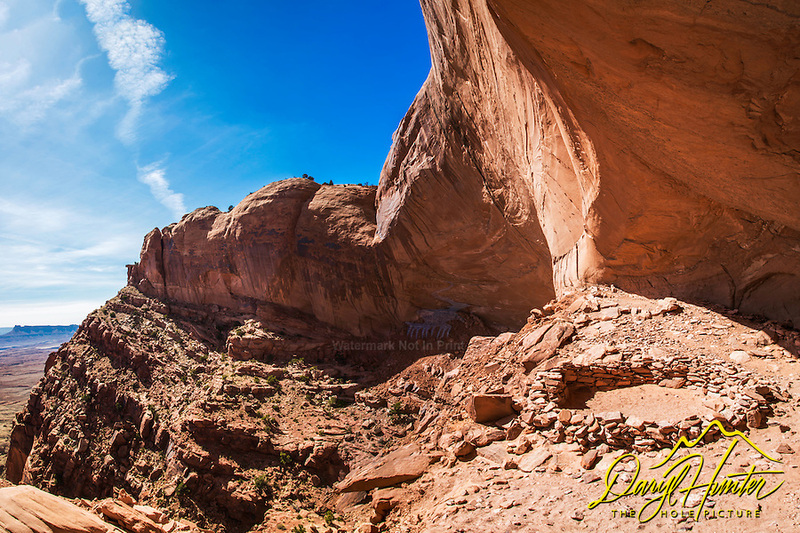 Anasazi ruin high on a Colorado Plateau cliff. A kiva is a room used by modern Puebloans for religious rituals by modern Hopi and most other Pueblo peoples, today kivas are square-walled and underground, and are used for spiritual ceremonies. Similar subterranean rooms are found among ruins in the American Southwest, indicating ritual or cultural use by the ancient peoples of the region including the Ancient Pueblo Peoples. Those used by the ancient Anasazi were usually round, and generally believed to have been used for religious and other communal purposes.